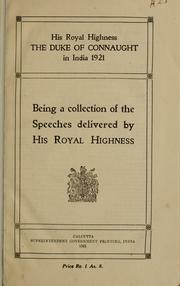 1 edition of His Royal Highness The Duke of Connaught in India 1921 found in the catalog. Add another edition? Are you sure you want to remove His Royal Highness The Duke of Connaught in India 1921 from your list? being a collection of the speeches delivered by His Royal Highness. 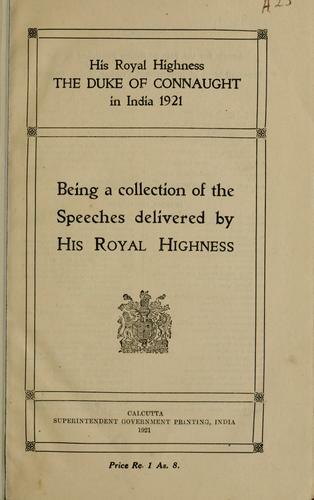 Published 1921 by Superintendent Government Printing in Calcutta .